Hi, this is Kelly from Teaching Fourth. Back-to-school has always been such an exciting time to me. Even as a child, I loved going back to school. It always meant new shoes, new clothes, and new school supplies! Even after teaching 25 years, the beginning of school is still exciting to me. It still means a new pair of shoes, a new outfit, and new school supplies, but most importantly, it means a new group of kiddos who are going to become very special to my heart. 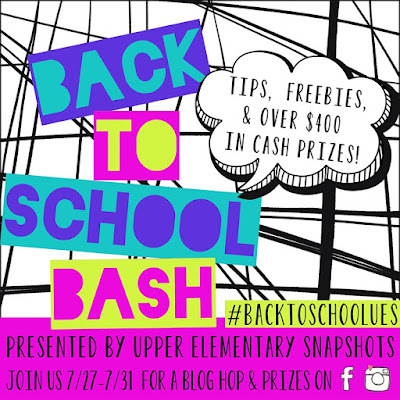 To celebrate this exciting time of year, Upper Elementary Snapshots has some fabulous back-to-school ideas, some fantastic freebies, and an amazing giveaway planned just for you! 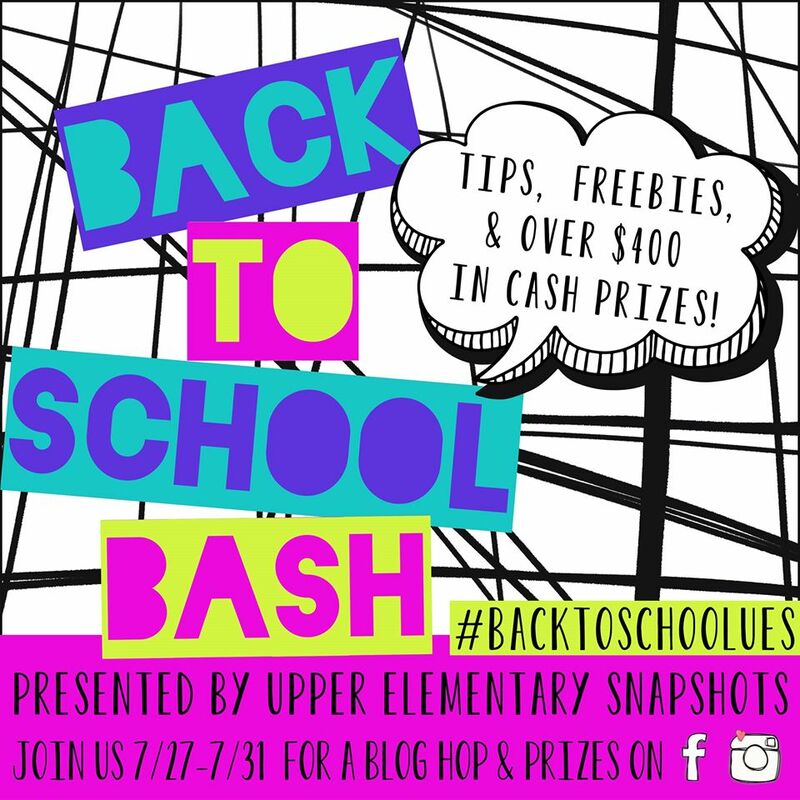 Each one of our bloggers has a wonderful back-to-school tip and a fantastic freebie just for you! Simply visit each of our blogs below to find some great ideas and freebies for your classroom.